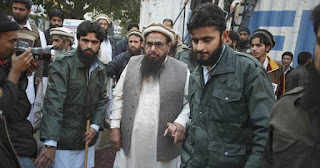 A day after Pakistan’s government arrested Hafiz Saeed, chief of the banned Lashkar-e-Toiba (LeT), along with four associates and issued orders against the Jamaat-ud-Dawa (JuD) and its humanitarian aid front, the Falah-e-Insaniyet Foundation; the Pakistani street is abuzz with speculation about what motivated this crackdown. Pakistani government sources discreetly suggest that Saeed was detained to insulate Pakistanis from President Donald Trump’s order banning non-US travellers from seven Islamic countries from entering the United States, and a follow-up suggestion from his Chief of Staff, Reince Priebus, that this could be extended to Pakistan. In contrast, Saeed flatly accuses Pakistan of succumbing to Indian pressure. “This is taking place because of [Prime Minister Narendra] Modi's insistence, Trump's pressure and Pakistan's helplessness”, Saeed stated after his arrest, according to Reuters. Even so, the Pakistan Army’s acquiescence would have been essential for such a step. Earlier this month, Business Standard quoted top Pakistan Army sources who revealed that the new army chief, General Qamar Javed Bajwa, was readying to curb the LeT and Jaish-e-Mohammed (JeM) in order to ease tensions with India (January 11, “Is Pakistan Army preparing to turn on LeT and Jaish”). This was the first time the Pakistan Army has publicly backed the arrest of India-focused jihadis, which it has long regarded as “strategic assets”. That raises the question: has Trump’s blockage of Muslim travellers provided the Pakistani army and government with a plausible reason to crack down on Saeed and the LeT, without making it appear like India was being placated? The action taken against Saeed, is stronger than what the Pakistani media has painted. For years, Saeed operated freely and openly in Pakistan, thumbing his nose at a $10 million bounty that Washington offers for information leading to his arrest, and being the star speaker at public rallies that whip up hatred of India. Now, unexpectedly, he is detained under Pakistan’s stern Anti-Terrorist Act of 1997. Nor is the LeT chief under “house arrest” as the media has erroneously noted. True, Saeed is at home in Lahore, but this has been notified a sub-jail. He is under full arrest for activities that “harm peace and security” of Pakistan. This is significantly different from being arrested for acting again India, or sending militants into Kashmir, all of which are perceived as legitimate activities in Pakistan. When Saeed was placed under home arrest after the LeT struck Mumbai on 26/11 , the widespread impression across Pakistan that this was at New Delhi’s behest ensured the terrorist chief was released within six months. This time round, there was a markedly different feel to Saeed’s arrest. On Monday, when he was taken into custody from Markaz Al-Qadsia, the JuD headquarters in Lahore, four key associates were simultaneously picked up from across Punjab, reports the credible Pakistani newspaper, The Express Tribune. Indicating a centrally directed, geographically dispersed crackdown, two associates --- Zafar Iqbal and Abdul Rehman Abid --- were arrested from Markaz Tayyaba, the LeT headquarters at Muridke. A third, Abdullah Ubaid, was picked up in Faisalabad; while a fourth, Kashif Niazi, was arrested in Multan. “Exercises such as yesterday’s orders against Hafiz Saeed and others have been carried out by Pakistan in the past also. Only a credible crack down on the mastermind of the Mumbai terrorist attack and terrorist organizations involved in cross border terrorism would be proof of Pakistan’s sincerity”, said the MEA. Analysts say quiet scepticism from New Delhi would create a better climate for the government of Pakistan to act against jihadi groups than overt triumphalism, or breast beating by the Indian media. For now, a rampaging Trump has provided the necessary cover. It remains to be seen whether Indian politicians, in an election season, can display restraint and provide Pakistan with the space to act. New Delhi sources are now watching carefully for renewed progress in Zaki-ur-Rehman Lakhvi’s trial for the Mumbai 26/11 attack. In countries that face serious security challenges --- as India does with a two-front conventional and nuclear threat, a 7,500-kilometre coastline, and serious internal security issues --- the levels of security the military and defence industry can deliver mostly hinges on how much money the government allocates to defence. However, with the defence budget due to be unveiled on Wednesday, enhanced allocations feature on only a few wish lists of the defence industrialists that Business Standard spoke to. Instead, most hope that the defence ministry clears the policy, taxation and procedural logjams that stall capital procurement. This is unsurprising, given that the defence ministry returns unspent money to the exchequer most years. This invariably comes out of the capital budget, impacting equipment modernisation programmes. The military has no problem spending its revenue budget each year, but the bulk of that goes on salaries and pensions, and running the military, from which the defence industry hardly benefits. Last year, the revenue budget constituted three quarters of the total defence allocation of Rs 340,922 crore. In contrast, the capital budget amounted only to Rs 85,453 crore. An analysis by Business Standard revealed that capital expenditure has remained static over the last four years. In 2013-14, the last year of the United Progressive Alliance government, the capital expenditure of the army, navy, air force and Defence R&D Organisation (DRDO) was Rs 79,128 crore. This rose only marginally in the three National Democratic Alliance budgets to Rs 80,884 crore in 2014-15, Rs 80,780 crore in 2015-16, and Rs 85,453 crore in the current year. It will become clear this week how much of the current allocation has actually been spent. Military financial planners complain bitterly that the finance ministry deliberately stalls procurements in the fourth quarter of the year, so that surrendered money is available to dress up its expenditure account. Much of the modest rise in defence allocations over the last three years has been in the revenue budget, and has gone towards meeting the expense of “One Rank, One Pension”. Similarly, much of the rise in the coming budget would go towards meeting higher salary costs necessitated by the 7th Central Pay Commission. For industry, the issues remain two-fold. Firstly, how much rise there will be in the capital allocation; and, second, how much of it will go to foreign vendors, the defence public sector undertakings (DPSUs) and the Ordnance Factory Board (OFB). That will determine what is left for private defence firms. For example, the procurement of 36 Rafale fighters, means that a hefty chunk of the capital budget would be required for instalments on that purchase. In an average year, 85-90 per cent of the capital budget is pre-committed to purchases of earlier years. Defence Minister Manohar Parrikar, whose promises tend to be well ahead of actual implementation, has publicly declared that, in the last two-and-a-half years, his ministry has placed procurement orders worth Rs 230,000 crore, more than 90 per cent of them in categories that would benefit vendors in India. Parrikar has also set an ambitious target of exporting $2 billion worth of defence systems from India by 2019. This has aroused scepticism within industry, since it would require a four-fold increase in three years over current export levels. A staple complaint of private industry is a taxation regime that favours foreign vendors over Indian firms. In the last budget, a time-bound schedule was announced for phasing out incentives on R&D expenditure, something that most governments encourage. 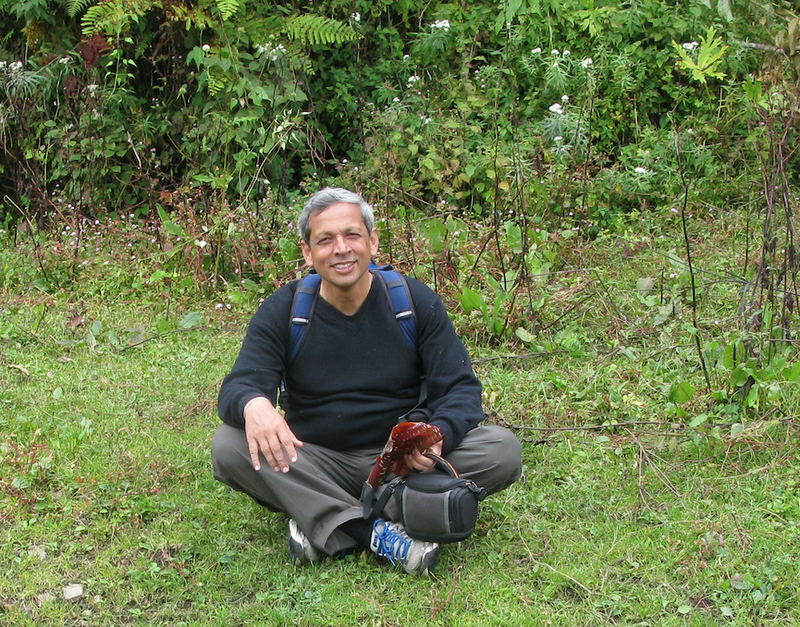 Separately, an Indian offset partner is required to pay taxes on the work the company does in India, forcing it to route supplies through his foreign partner. There is also widespread resentment at the government’s slothfulness in placing orders, even though private companies have invested heavily in creating R&D and manufacturing capabilities in the country. “A procurement that comes through in five years is regarded as lightning quick. What are we expected to do with our capacities while the file is processed at tortoise speed?” asks a CEO. Small industry is worst affected, since cash-flow is a problem for many. MSMEs are hoping for credits, or loans at low rates of interest, which would enable them to remain competitive with foreign defence industry that gets loans at 1-2 per cent interest. In the FY 2016-17 budget, a roadmap was announced for phasing out benefits on R&D expenses under section 35(2AB). Such benefits should not only be continued, but enhanced in order to stimulate R&D for the high-tech defence, nuclear and aerospace sectors. “Government should scrap taxes on equipment being sold to defence. Taxing defence amounts to paying tax with one hand and taking it back with other hand. This has a high transaction cost for the government, and causes untold misery to companies, which struggle to raise the working capital to pay the taxes. "Many Indian defence companies have invested serious money into building capabilities, but procurement files remain pending for years, causing serious cash-flow problems particularly for small and medium companies. So let 2017-18 be the year when the procurement budget is fully spent, and the bulk of it on Indian industry." “MSMEs are the backbone of defence production. The government should create financial packages for them, of long duration, low interest credits; and also ensure quick disbursement”.